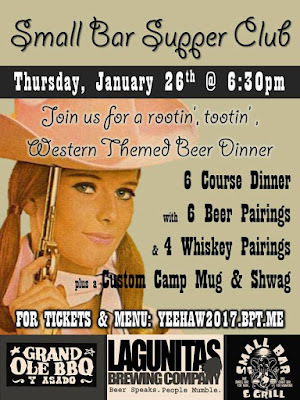 Small Bar owner & chef Karen Barnett is starting 2017 right and inviting pitmaster Andy Harris of North Park's Grand Ole BBQ Y Asado and NorCal's Lagunitas Brewing Company for the first Whiskey & Beer Supper Club of the year. 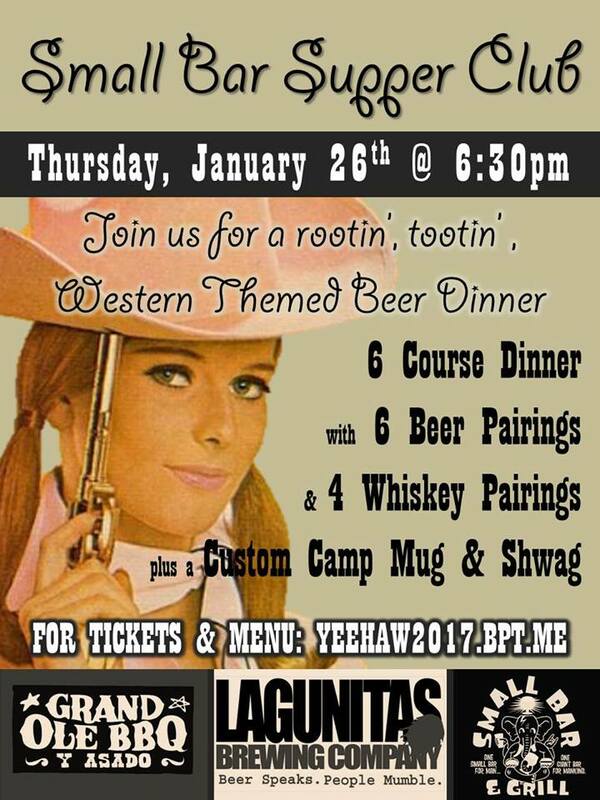 Taking place on Thursday, January 26, starting at 6:30pm, University Height's Small Bar is inviting a very limited number of guests (it is a small bar after all) for a Western-themed, 7-course whiskey and beer pairing dinner. Tickets to this event are available online and will sell out fast, so get yours today. Small Bar is located at 4628 Park Boulevard in San Diego's University Heights neighborhood. For more information, visit smallbarsd.com.